MBN News has reported more details about the KakaoTalk chatroom that has been part of a major controversy. 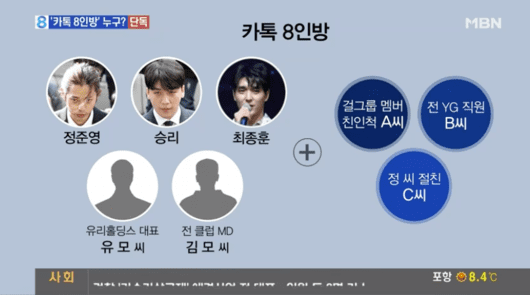 The March 15 broadcast of MBN’s “News 8” reported that the eight members of the chatroom are: Jung Joon Young, Seungri, Choi Jong Hoon, former CEO of Yuri Holdings Yoo In Suk (husband of Park Han Byul), Mr. Kim who is a club employee, the relative of a girl group member, a former YG Entertainment employee, and a friend of Jung Joon Young who appeared with him on a variety show. 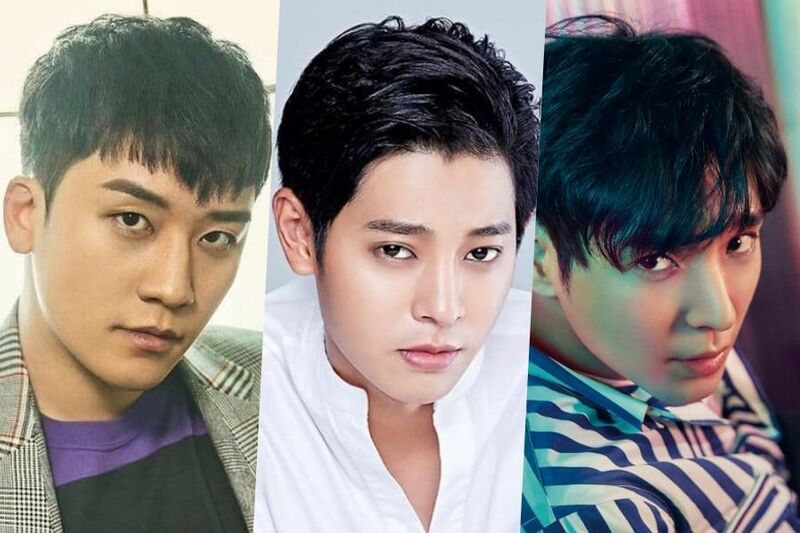 Jung Joon Young has admitted to his crimes in a letter of apology and submitted to police questioning, Seungri has announced his retirement from the industry and is undergoing investigation, and Choi Jong Hoon has left FTISLAND and will also be investigated by the police. Yong Junhyung and CNBLUE’s Lee Jong Hyun are stated to have not been part of the group chatroom, however the two singers have admitted to seeing illicit videos and having inappropriate conversations about them. FNC Entertainment issued a statement regarding Lee Jong Hyun on March 15, while Yong Junhyung announced his departure from Highlight on March 14 after admitting to his actions.